President Bush has announced his plan to vaccinate some Americans. Both the disease and the vaccine carry serious risks. Here are the answers to some common questions about smallpox and its prevention. QUESTION: What is smallpox? Why is it so worrisome? ANSWER: Smallpox is a highly contagious virus that is spread from person to person, historically killing 30 percent of its victims. People can prevent infection if they are vaccinated within four days of exposure, before symptoms even appear; afterward, it is too late, and there is no known treatment. The last case of smallpox in the United States was in 1949. Routine vaccinations ended in 1972. That means that some 45 percent of the public is totally unprotected. People vaccinated decades ago may, but may not, have some residual protection. QUESTION: Who will be offered the vaccine? ANSWER: Within weeks, shots will be directed for a half-million at the Pentagon, including troops and civilians, many of them headed to or already in southwest Asia. In the civilian world, it will be offered and recommended soon after the new year for those e most likely to encounter a highly contagious smallpox patient. That includes workers in hospital emergency rooms and people on special response teams who would investigate suspicious smallpox cases. After a review of state plans, about 450,000 civilians are expected to be offered the vaccine during this first stage. In a second stage, vaccinations would be recommended to all other health care workers plus emergency responders such as police, fire and emergency medical technicians. That is likely to total roughly 10 million people. Eventually, after enough vaccine is licensed by the Food and Drug Administration, it will be made available to all Americans, though the government will not recommend it. That is not likely until early 2004. ANSWER: For some military troops, yes. For civilians, no. Even in the middle of a smallpox attack, there are no provisions to force civilians to be vaccinated. People exposed to the disease who refuse to be vaccinated could be quarantined. QUESTION: Wasn't smallpox wiped out? ANSWER: In 1980, the disease was declared eradicated worldwide. 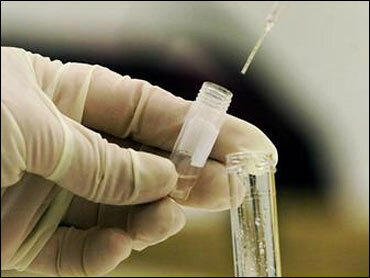 All samples of the virus were to have been destroyed except those held by special labs in Atlanta and Moscow. Experts fear some of the Russian sample could have escaped to hostile nations. QUESTION: Does Iraq have the virus? ANSWER: U.S. intelligence officials believe Iraq has a small amount of smallpox left over from the last outbreak in the 1970s. U.N. inspectors have not singled out smallpox as a threat. QUESTION: Why not just vaccinate everyone right now? ANSWER: The vaccine itself, made with a live virus called vaccinia, carries rare but serious risks. Based on studies from the 1960s, experts estimate that 15 out of every million people vaccinated for the first time will face life-threatening complications, and one or two will die. Reactions are less common for those revaccinated. For the approximately 130 million Americans never vaccinated, experts would expect nearly 2,000 to face life-threatening complications and 125 to 250 of them to die. For about 158 million people being revaccinated, experts expect nearly 800 life-threatening complications and about 40 deaths. QUESTION: What sort of reactions and complications? ANSWER: Typical reactions include sore arms, fever and swollen glands. In an experimental trial under way in Nashville, Tenn., about 10 percent of people experienced extreme discomfort, with fatigue, fever, loss of appetite and other flu-like symptoms that lasted a day or two. The most common serious reaction comes when vaccinia escapes from the inoculation site, often because people touch the site and then touch themselves or someone else. The virus transferred to the eye can cause blindness. More deadly is encephalitis, which can cause paralysis or permanent neurological damage. Also fatal though very rare: progressive vaccinia, where the vaccination site does not heal and the virus spreads, eating away at flesh, bone and gut. QUESTION: Who is at greatest risk of complications? ANSWER: People with weak immune systems those with HIV, cancer and transplanted organs face much greater risk, as do pregnant women. People with eczema risk a serious, permanent rash. Officials administering the vaccine will ask detailed questions to try to screen out such people. QUESTION: How do these side effects compare with other vaccines? ANSWER: Smallpox vaccine is more dangerous than any other. By comparison, the measles-mumps-rubella shot can cause reactions including anaphylaxis, marked by swelling inside the mouth and difficulty breathing. But just 11 cases of anaphylaxis have been reported since 1990, out of more than 30 million vaccinations, and no one has died. QUESTION: If the vaccine is effective four days after exposure, why not just vaccinate after an attack? ANSWER: Delivering mass vaccinations within days is incredibly complicated, and an attack would be much less deadly if there is more vaccination now. Planning is also under way for post-attack vaccinations.